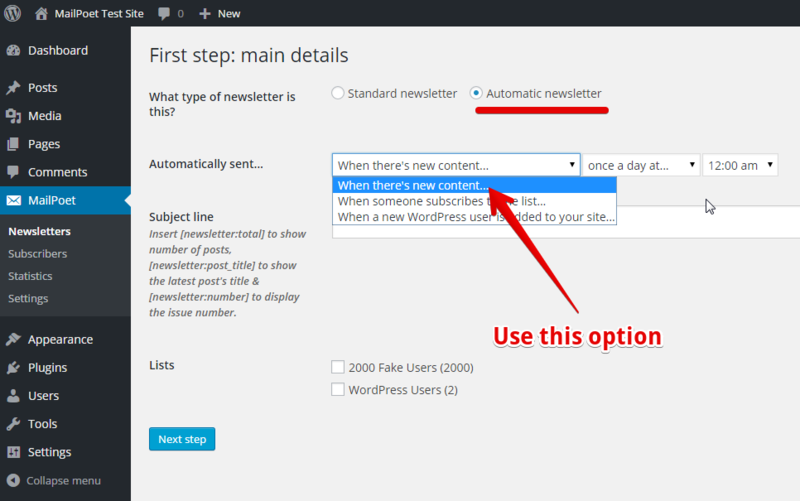 Just create an Automatic Newsletter with the rule When there's new content..., and choose your frequency (once a day, immediately, weekly, etc.) On Step 2 of the Editor, add the widget Automatic Latest Content to your Newsletter editor. Please note that if you update a post, it won't send another automatic newsletter, it only works for new posts. 2 min intro to MailPoet from MailPoet on Vimeo. Post notification for WordPress with a plugin from MailPoet on Vimeo.